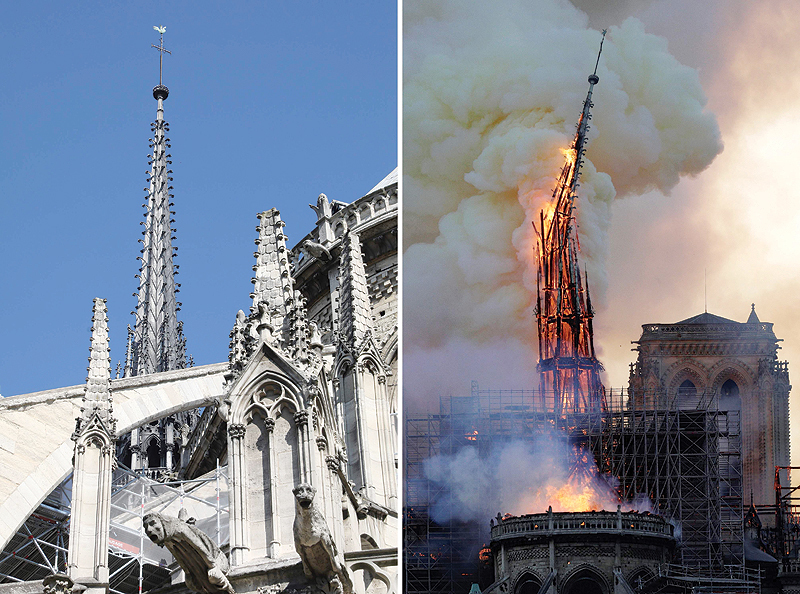 PARIS: A colossal fire swept through the famed Notre-Dame Cathedral in central Paris yesterday, causing its spire to collapse, quickly followed by the entire roof, and raising fears over the future of the nearly millennium-old building and its precious artworks. The fire, which began in the early evening, sent flames and huge clouds of grey smoke billowing into the Paris sky as stunned Parisians and tourists watched on in sheer horror. 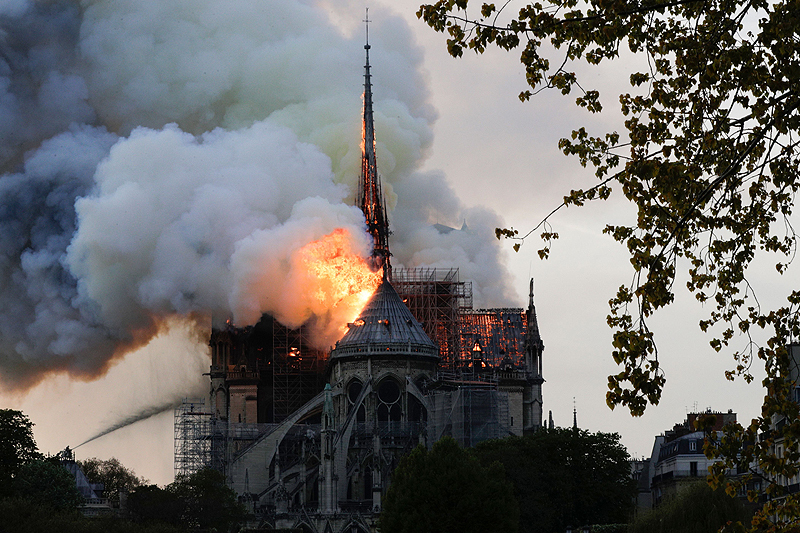 The cause of the blaze was not immediately confirmed but the cathedral had been undergoing intense restoration work to help the 850-year-old gothic masterpiece better deal with the tests of time. The flames and smoke plumed from the spire and roof of the cathedral, visited by millions of people a year. Deputy Paris mayor Emmanuel Gregoire told BFM TV the spire “collapsed inwards” and that workers were scrambling “to save all the artworks that can be saved”. A spokesman for the cathedral told AFP that the wooden structure supporting the roof was being gutted by the blaze. “Everything is burning,” the spokesman for Notre Dame, Andre Finot, told AFP. The fire service said the blaze could be “potentially linked” to ongoing renovations. German Chancellor Angela Merkel called Notre-Dame cathedral a “symbol of European culture” as the blaze raged. Paris mayor Anne Hidalgo in a tweet described it as a “terrible fire”. Vast clouds of grey-white smoke billowed round the cathedral as yellow flames still licked the top of the building. 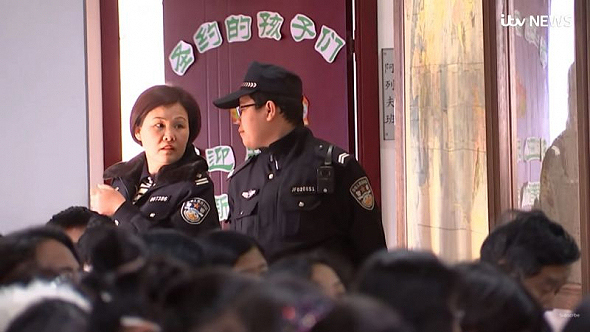 There was no immediate indication of any casualties in the blaze. “The Paris fire service is trying to control the flames,” Hidalgo wrote on Twitter, asking residents to respect the security cordon thrown up around the site. A spokesperson for the cathedral said the fire, which comes as French Catholics prepare to celebrate Easter, broke out at around 1650 GMT. Fire trucks could be seen speeding through Paris towards the scene on the Ile de la Cite – an island in the Seine at the heart of Paris. 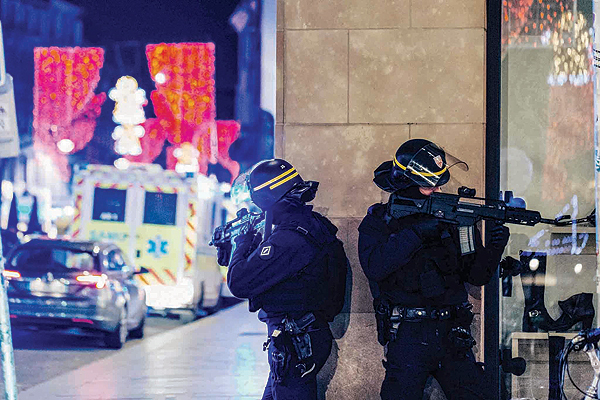 The Paris police department in a tweet called on residents to avoid the area and to “make way for rescue vehicles”. US President Donald Trump in a tweet said: “So horrible to watch the massive fire at Notre Dame Cathedral in Paris. Perhaps flying water tankers could be used to put it out. 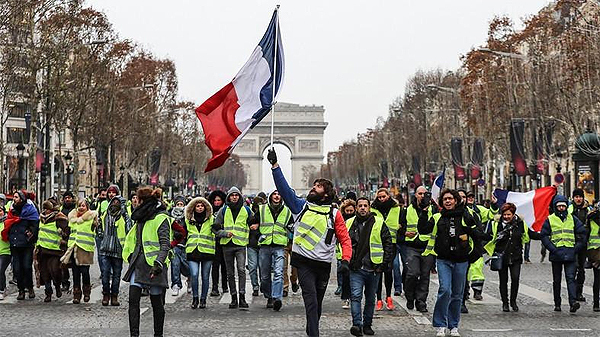 Must act quickly!” Hundreds of people gathered on the bridges of Paris downriver to witness the scene, some filming the images with their smartphones, an AFP reporter said. “Basically the whole rooftop is gone. I see no hope for the building,” said witness Jacek Poltorak, watching the fire from a fifth-floor balcony two blocks from the southern facade of the cathedral, one of France’s most visited places.